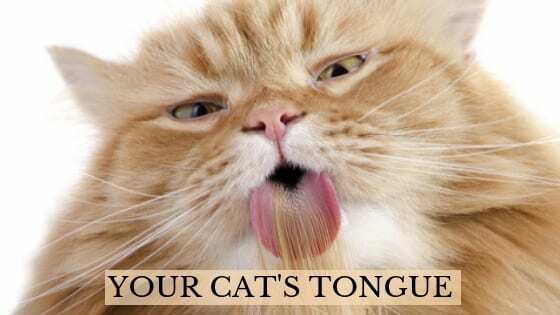 The tongue of a cat has tiny, backward-facing barbs (papillae) on it and they’re the things that create that rough sensation. The barbs serve several important functions. They make it easier for a cat to rasp the meat from the bones of his prey. The barbs also aid in grooming as they collect dirt, debris and loose hair from the cat’s coat. The downside to the backward-facing barbs though is that anything the cat collects on her tongue will usually end up getting swallowed and that’s how your cat may end up with lots of hairballs. 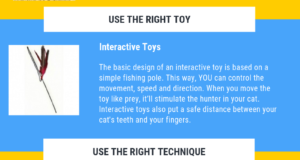 The barbs on the tongue also make it dangerous should your cat get some yarn, string or tinsel in his mouth because he won’t be able to spit it out. After a cat has eaten his prey he will groom to remove all traces. This is an important survival strategy because he doesn’t want to alert any other prey in the area to his presence. Additionally, a cat is small enough so he is not only a predator but potential prey as well. Removing traces of a fresh kill would be very important to his own safety as well. 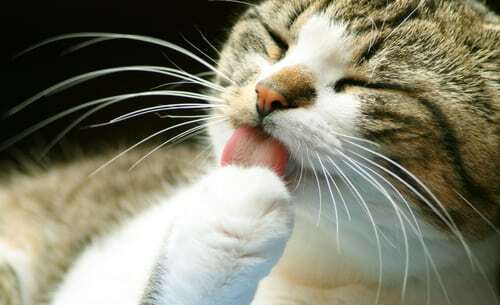 Your cat will also use his tongue to groom himself to help keep cool through evaporation. Grooming is also a displacement behavior and your cat may use his tongue to groom areas of his body if he feels stressed or anxious. Repeated grooming in the same area can actually cause bald patches. A cat will also use his tongue for social grooming. You may notice this if you have a multicat environment and you see two cats engaging in allogrooming. The cat’s tongue has fewer taste buds than a human has and interestingly, the cat, in general doesn’t have a taste for sweets. 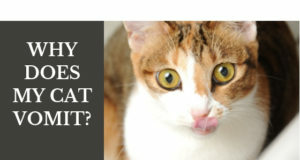 We probably create that habit and desire in our cats by feeding inappropriate foods.